Music chords are our basic emotional vocabulary, this program can help you to recognize and associate them with feelings, thus gaining control and consciousness on our emotions and how to use them in real life. 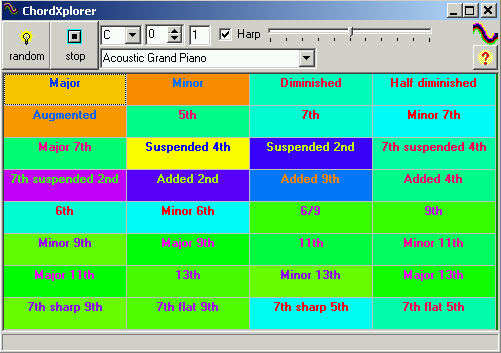 With ChordXplorer you can listen any musical chord in any base note and octave. Instrument used is also selectable from the drop down list. Geomusic scale tuning is also available checking the appropriate box.